128 positive cases of swine flu have been reported in the state against 8,025 cases in the country since January 21. Amaravati: The Swine flu is rampant in Kurnool district in Andhra Pradesh which had so far claimed 12 lives. 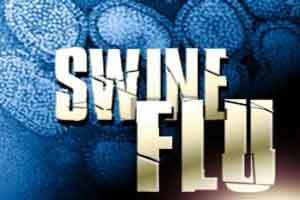 About 128 swine flu positive cases were reported in the state. According to Kurnool Government General hospital bulletin, 12 persons have died of swine flu so far. So far 30 persons have been tested positive for HINi virus and 12 of them died while 12 were treated and discharged from the hospital. The Kurnool government hospital opened a separate out-patient ward especially for the screening of suspected swine flu cases. Special Chief Secretary to Chief Minister, Satish Chandra said that so far 128 positive cases have been reported in the state against 8,025 cases in the country since January 21. In Visakhapatnam 37 cases, 31 cases in Chittoor and 25 cases in Kurnool district have been reported. The Special Chief Secretary held a teleconference with the health officials here on Tuesday. He directed the officials concerned to be alert and bring awareness among people on the swine flu. As the swine flu cases are being reported in neighbouring states, Mr Chandra directed the officials to be alert and take preventive measures. He asked the officials to launch the campaign against swine flu in public places including the bus station, railway stations, temples, churches and Dargahs, schools and colleges and at Tirumala as lakhs of people throng to hill shrine. The Special Chief Secretary directed the municipal officials to concentrate on sanitation. Mr Chandra said if necessary health camps should be conducted to prevent swine flu. The officials informed him that health camps were opened at railway stations, bus stations, and airports at Tirupati, Visakhapatnam and Vijayawada. He directed the officials to supply anti-swine flu medicines to all the hospitals in the state and open special wards to treat swine flu cases.